You know what’s better than lots of interest? No interest. We can be understandably tetchy about cards that boast an introductory APR of 0% for a limited period of time – while that sounds great, there’s a temptation to treat it like free money, and ignore when the other foot drops and you’re stuck with a huge balance and a high variable APR. However, if you can handle your balances, and want a nice, easy period of no interest to pay down debts or help take the weight off a huge purchase, 0 APR credit cards can be a welcome resource. For those who want or need that extra wiggle room to spend without having to build up interest, having such a low APR is nothing short of miraculous. To that end, we looked around for some of the cards that combine generous no-interest introductory periods with robust features, and came up with some of the best 0 APR credit cards out there. When looking for the best 0 APR credit cards, we didn’t just look at whether or not the offer existed – we looked to see how long those periods lasted. HSBC Gold Mastercard is generous; you get 18 months of no interest to work with when you get the card. Combined with no annual fee, that’s a great start for your credit card search. 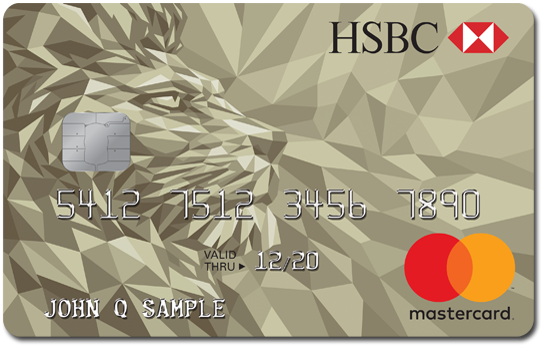 However, the HSBC Gold Mastercard Card doesn't offer a lot more than zero interest for eighteen months. There are no rewards with this card -- although you should not expect too many rewards from any 0% APR cards. There are a couple of perks outside the main attraction of 18 months interest free though. There's $1 million travel accident insurance, price protection that refunds the difference if you see an item advertised cheaper for 60 days after purchase, and special protections against identity theft. There are also some more relevant perks related to the way this card is intended to be used. After all, the point of the card is to borrow with zero interest. In many cases, this will be seen as a way to get rid of other credit card debt without accruing more interest each month. As such, the fact that there's no annual fee, HSBC will waive your first late fee and there's no penalty APR make this a solid option for those looking to borrow money over an 18 month period. While having no interest for a good long time on your purchases is great for everyone who wants a credit card, it’s especially advantageous for those who want to transfer balances from other cards to consolidate their debt. 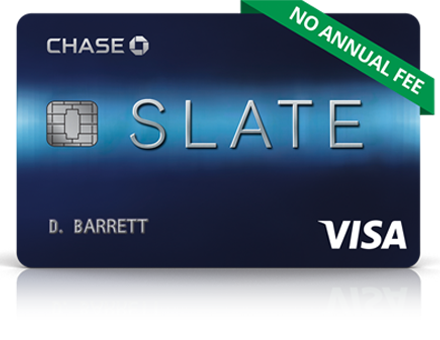 For these customers, the Chase Slate Credit Card may be the way to go. While you can find a slightly longer 0% APR introductory period than the 15 months on offer here, you'll struggle to find one combined with a 0% fee on balance transfers. The 15 months 0% APR applies to both purchases and balance transfers, by the way - that’s plenty of time for most cardholders to transfer balances and pay down their debts without having to accrue lots of interest in doing so. And, as mentioned, you will pay $0 on balance transfers within the first 60 days. This is a particularly interesting prospect when you consider competing cards usually charge anywhere from 3%-5% balance transfer fees. Not only that, the card spots a $0 annual fee and no penalty APR, permitting cardholders with existing balances to have all the breathing room they need to pay off their debts. Other than its balance transfer benefits, it’s a really straightforward card; there’s no rewards program, so it doesn’t necessarily pay to spend a lot on it for everyday purchases. Still, if you need that extra break from your current balances, this might be the best 0% APR credit card for you. Remember how we said that it’s practically unheard of to get a no-interest introductory APR longer than 15 months? Let us introduce you to the US Bank Visa Platinum Credit Card – its 0 APR period is 18 whole months. That’s a year and a half to pay no interest on the card balance. As a balance transfer card, this is probably one of the best – all you have to do is transfer your balance to this card, and give yourself a year and a half to whittle it down to a manageable level without having to build up extra interest. It’s a really substantial grace period that can work wonders for your existing debt. Along with that generous intro period, the Platinum Card gives you a few more benefits commensurate with cards of this type – fraud protection, free access to your credit score through TransUnion, and more. You won’t find cash back or rewards points options here, but the longer 0 APR period alleviates the barebones nature of the card a little bit. If you’re looking to pay off your debt, the Citi Simplicity Card is a pretty good option for those looking to transfer their balance over from another card. The Citi Simplicity card has an extended introductory APR period of 18 months, along with no annual fee. The real benefit is this applies to both purchases and balance transfers. Yes, you will pay the higher of $5 or 5% on your balance transfer. But, as long as you complete the balance transfers within four month of opening the account, you'll not pay any interest on this balance in the 18 months following the first transfer. The card is also quite forgiving in other areas, setting it up as an ideal card for those looking to consolidate and pay off credit card debt. For example, there are no late fees or penalty rates for missed or late payments. Throw in the fact there are no annual fees and it starts to look like an interesting option for those looking to get the debt monkey off their back. Chase has its own features-heavy 0 APR credit card options, too, with the Freedom Unlimited being one of the company’s standouts. With a sturdy 15-month 0% APR period and no annual fee, the Freedom Unlimited gives you plenty of leeway to get your spending started. If you want a simple cash back rewards card that will do all the thinking for you, the Freedom Unlimited is a great option. Instead of worrying about reams of reward tiers that depend on spending categories, the Freedom Unlimited keeps it simple – just 1.5% cash back on every purchase, with no limits. What’s more, those cash back rewards don’t expire for the life of the card, and you can combine them with the $150 signup bonus you get if you spend $500 over three months after getting the card for a hefty boost to your spending. With the Chase Ultimate Rewards program, you can also combine your rewards with other Chase cards to spend them where they’ll work best. As an all-purpose rewards card with a great introductory APR period, the Chase Freedom Unlimited is probably the best 0 APR credit card overall. If you already have other Chase products you can use to combine with the Ultimate Rewards program, getting this card is practically a no-brainer.